White Electra branded plug. Pictures and text provided by Loz Pavier. 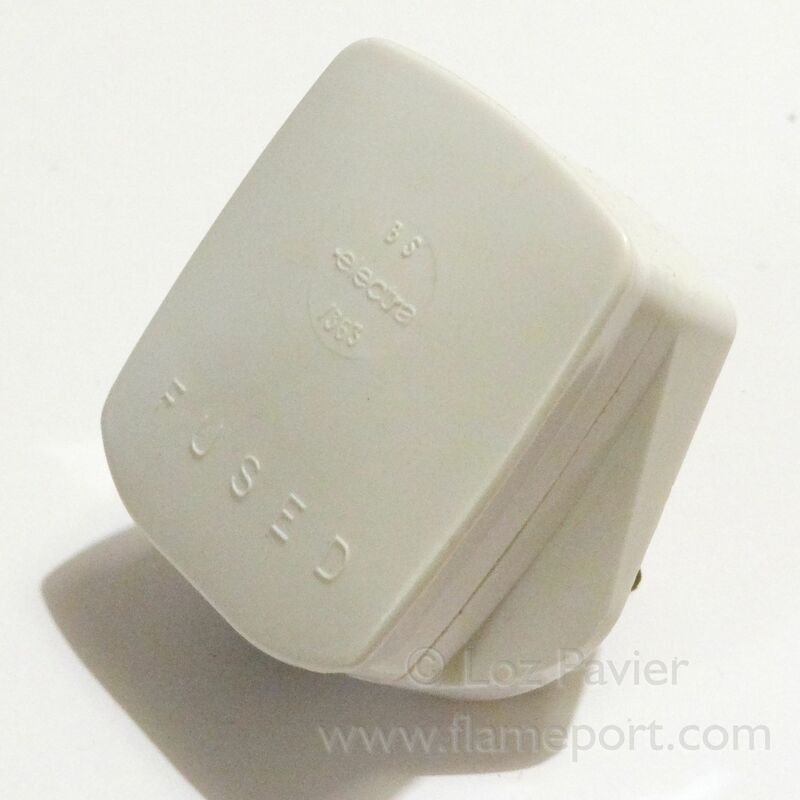 This plug is deceptively branded 'Electra'. However, it is a WG (Ward & Goldstone) type plug, with the WG logo replaced with that of Electra. A number of WG designs were available, including one with a bakelite type base and a softer plastic top. This is an earlier type with a full brittle bakelite body and lid. Electra were the retail division of 'East Midlands Electricity Board'. 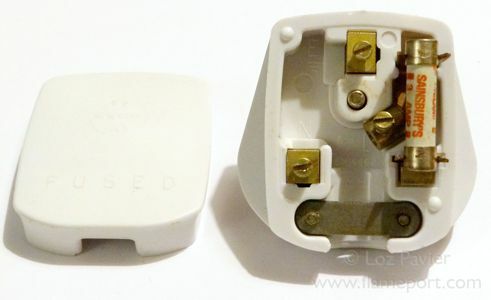 White goods and household appliances were sold either with these branded plugs fitted, or, with these plugs available to buy loose depending on the outlet. 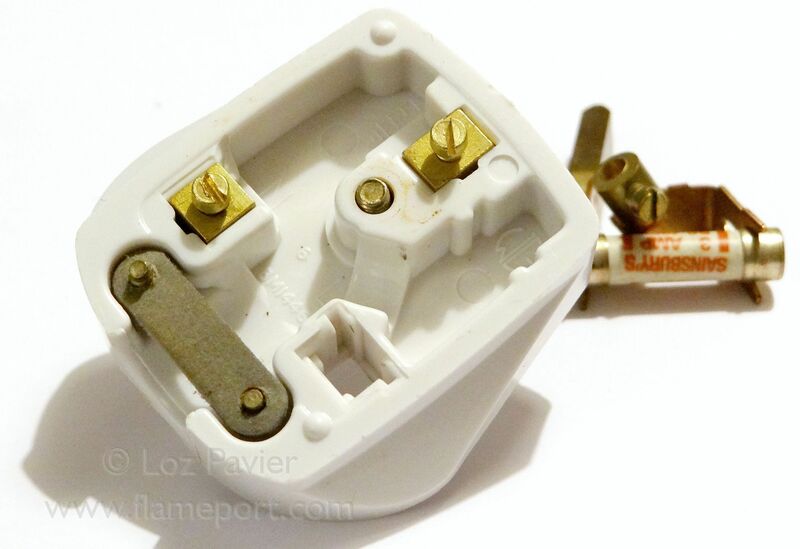 Inside the cable grip is made of compressed card and a 3a 'Sainsbury's' branded fuse is fitted. Underneath the fuse terminal, we see a WG brand logo - the only location this is shown on the item.